Experts from Southampton will develop models of battery materials, interfaces and devices. 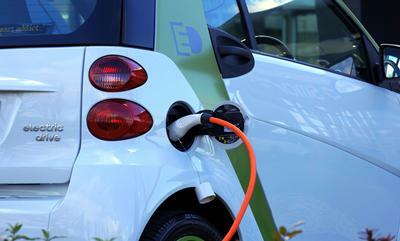 The University of Southampton is set to play a key role in accelerating the development of the next generation of batteries and battery materials to power the UK’s and the world’s electric vehicle revolution. Building on the University’s strengths and expertise in High-Performance Computing and Electrochemistry, researchers from Chemistry, Mathematics and Engineering have joined two multi-institutional consortia to deliver unprecedented capabilities in multi-scale modelling and analytic techniques for the Faraday Institution, the UK’s independent national battery research institute. The Institution’s goal is to make the UK the ‘go-to’ place and world leader for battery technology research with the potential to radically increase the speed with which we are able to make the move to electric vehicles and decarbonise our energy supply. Southampton is already one of seven universities leading pioneering research as part of the Faraday Institution announced in October. The four newly-established consortia announced by the Faraday Institution will receive more than £46 million in funding from the government and in-kind support from industry. Experts from Southampton will develop models of battery materials, interfaces and devices spanning several orders of magnitude as part of a new consortium focused on battery system modelling. The capabilities to be developed will enable a step change in the ability to design batteries for automotive applications. Southampton will further combine powerful analytical techniques to achieve an unprecedented understanding of battery degradation as part of a consortium focused on extending battery life, with focus on key phenomena such as cell gassing that compromise battery life and safety. Extending battery life, led by Cambridge University, will examine how environmental and internal battery stresses (such as high temperatures, charging and discharging rates) damage electric vehicle (EV) batteries over time. Research will lead to the optimization of battery materials and cells to extend battery life (and hence EV range), reduce battery costs, and enhance battery safety. Battery system modelling, led by Imperial College London, will look to equip industry and academia with new software tools to understand and predict battery performance, by connecting understanding of battery materials at the atomic level all the way up to an assembled battery pack. The goal is to create accurate models for use by the automotive industry to extend lifetime and performance, especially at low temperatures. Over the next three years, the total investment into the modelling fast starter will be £10.2 million of which £1 million will come directly to Southampton where the University will lead on cold-start capabilities of Li-Ion batteries, fundamental physics and materials science and mathematical methods and solvers. 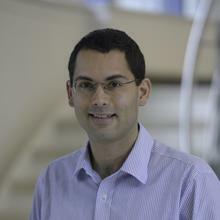 “Southampton will play a key role in the multi-scale modelling of battery materials in order to elucidate the processes that are responsible for limiting the performance of batteries under demanding conditions,” said Professor of Computational Chemistry, Chris-Kriton Skylaris, part of the team working on the Battery system modelling project. “This will involve development of new theories and computational methods that range from the atomistic quantum regime to much larger scales of entire domains and interfaces of materials”. Chris-Kriton Skylaris is Professor of Computational Chemistry at the University of Southampton. 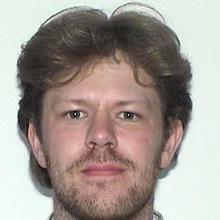 Dr Denis Kramer is Associate Professor within Engineering and Physical Sciences at the University of Southampton.